Anyone who has rented a property knows that efficient markets have their limits. 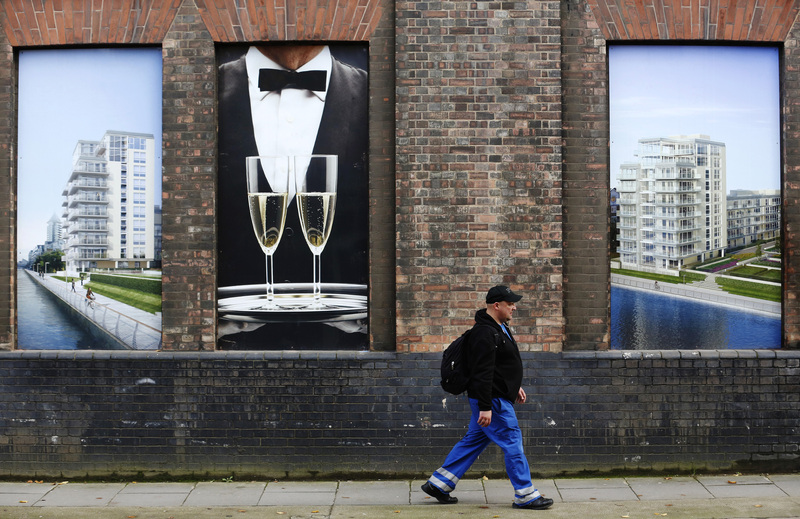 Britain’s government on Nov. 23 proposed a ban on directly charging tenants one-off fees, a move that pulled the rug from under the shares of listed estate agents. It’s an interference with market forces that, nonetheless, will make the market work better. Estate agents have a useful role, but their contribution is hard to value. The average tenancy comes with 223 pounds of fees, the UK Treasury estimates, which covers credit checks, references and the like. In reality those fees can be as high as 780 pounds in some cases, according to Generation Rent. In theory, it shouldn’t be possible for agents to price excessively, since the market is highly fragmented. Tenants ought to shop around. In reality, tenants may not work like that. They are often what economists Xavier Gabaix and David Laibson have referred to as “myopic” – they don’t take account of extra costs when forking out the basic price of a good or service. Hotels whacking guests with high internet charges is a classic example. That raises the possibility that a tenant will max out their affordability on rent, and then get hit by extras. A third of tenants surveyed by Shelter in 2015 said the cost of their last house-move led them to take out extra debt. Won’t charges just be passed on to renters through higher rents? That’s where traditional competitive forces may work after all. The rise of online letting agents, and the sheer clout of landlords, makes it highly unlikely that an agent like Foxtons or Countrywide can force landlords to pay what tenants previously did. In Scotland, where direct fees are already banned, private rental growth has tapered off in recent years relative to England. Share price falls of around 15 percent for agents on Nov. 23 and 24 reflect how the changes will play out. Myopic consumers – and what happens when their vision improves – aren’t just a factor in real estate. Food retailers are also dealing with more transparency on pricing, which has squeezed once-generous margins. Banks and investment funds are also facing challenges to the way they charge fees. Meddling with the market is generally unwise, but when those markets were already inefficient, it’s hard to sympathise too much with the losers. Shares in UK-listed estate agents fell in the two days after the government proposed banning one-off tenant fees. Finance minister Philip Hammond on Nov. 23 announced a consultation that would prevent letters being hit by fees of an average 223 pounds per tenancy. Foxtons Group, a letting and sales agent centred on the London market, was trading at 104 pence per share at 1025 GMT, 15 percent below where it closed on Nov. 22, the day before Hammond’s Autumn Statement. Estate agent Countrywide shares were trading at 175 pence at 1025 GMT, 14 percent below their closing price on Nov. 22. Countrywide said on Nov. 24 that owing to a slowing market, its EBITDA for 2016 would be near the bottom end of market estimates.